It looks like Denis Suarez’s Arsenal career is over before it even began, with Unai Emery planning to send the on-loan midfielder back to Barcelona. The Spain international only just joined the Gunners this January, but is yet to feature regularly for the club, having to make do with a role on the bench at the Emirates Stadium. It now seems highly unlikely Suarez will remain with Arsenal permanently, which you can put money on with reasonable confidence now with the aid of a bet365 bonus code 2019. French football journalist Julien Laurens has given an insight into what’s gone wrong with Suarez at Arsenal, as it’s claimed Emery has not been at all impressed with what he’s seen from the 25-year-old in training. “Yeah I think so [the money can be spent elsewhere],” Laurens is quoted in the Daily Mirror. “It hasn’t really worked out for Suarez. It is nothing Emery could have guessed before, anyone else at the club, not even Suarez. “On paper he looked like a good signing, it’s a loan, let’s see what he can do in England. 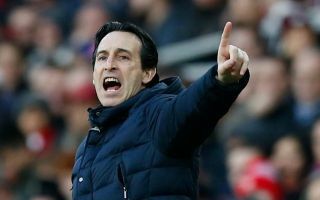 “It turns out even at training maybe Emery has seen that he was not good enough to give him more game time. Having also been linked with Christopher Nkunku during the January transfer window, it looks highly likely now that the north London giants will go back in for the Paris Saint-Germain starlet in the summer. Another decent alternative for Arsenal in midfield could be PSG contract rebel Adrien Rabiot, whose agent and mother has been quoted as saying is yet to decide his future despite strong links with Manchester United, Real Madrid and Barcelona. While it’s clear Arsenal would be up against big names for the France international, they may also be able to guarantee him the regular first-team football he wouldn’t necessarily get at Old Trafford, the Bernabeu or the Nou Camp. The 23-year-old is a huge talent and any kind of midfielder signing is surely essential for Emery’s side next season as Aaron Ramsey is poised to leave on a free for Juventus at the end of this season. Suarez is clearly not up to the job of replacing the Welshman, but Nkunku or Rabiot seem very decent alternatives who also shouldn’t cost a bomb for the club to bring in.